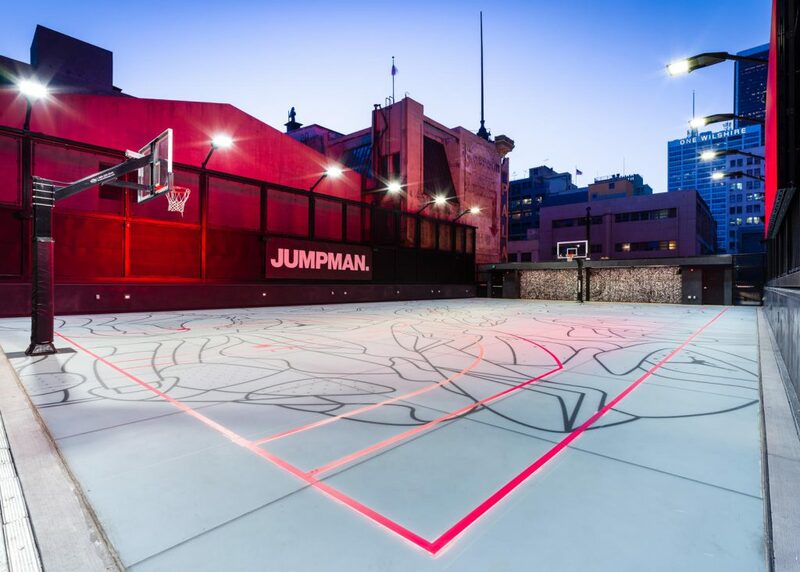 Frasure Reps supplied (12) LED CourtBlade fixtures for a rooftop basketball court at the new Jumpman LA store located in downtown Los Angeles. The store will serve as a retail and brand experience hub for athletes, creatives and passionate Jordan consumers. 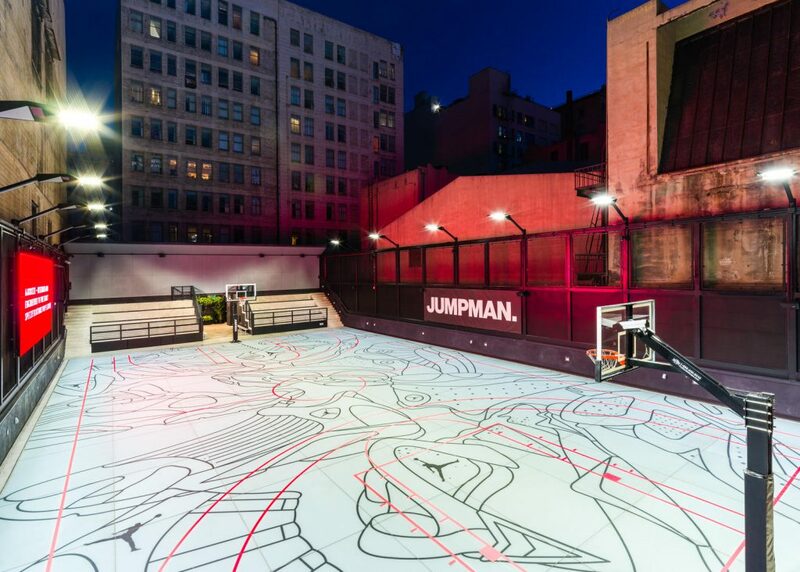 The rooftop court, the Flight Deck, will host local Jordan Brand-sponsored schools and others on its regulation-size court. To that end, Jumpman LA is anchored by two other core spaces that invite interaction and engagement. The state-of-the-art Flight Lab offers one-to-one diagnostic and performance testing, as well as product customization. The store’s twin Flight Lounges are designed to showcase brand storytelling and local artists alike.